Because of the cryptocurrency market's significant growth in the past couple of years, everyone wants a piece of that pie. Ransomware is still the most popular way for cybercriminals to generate that cryptocurrency income, but these days it seems that everything from personal computers to mobile devices and servers are all being targeted as possible hosts for secretly mining cryptocurrency. This week the SonicWall Capture Labs Threat Research Team has received reports of a malware purporting to be an image file but drops a cryptominer for Linux. Upon more thorough inspection, towards the end of that PNG format we find a standard file format for an executable file - ELF. Extracting this executable file we find that it is a XMRig Monero cryptocurrency miner. Its main function is to mine Monero from crypto-pool.fr using this address as shown below. 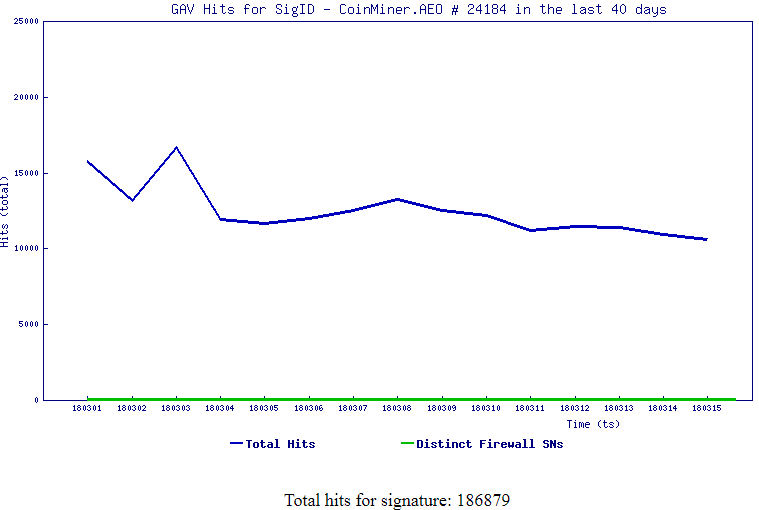 This type of attack is so prevalent that we have seen a steady increase in detection with this specific Gateway Antivirus signature in the past 40 days.